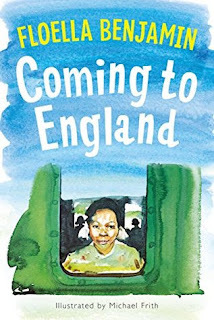 Floella Benjamin reveals the hopes and fears, and the pain she experienced when leaving the Caribbean for an unfriendly new life in England. Her feelings are shared by any child who has had to adapt to a new life in a strange environment and culture. This was an incredibly quick read for me but one I'm glad I took the time to pick up. It is the story of Floella Benjamin and her family who came to England about the same time as Windrush after the Second World War. It gives you detail of her life before and after her move and all the worries and troubles her family faced as a result of hostility and racsim faced when they moved. While this story is several years old I think in our current political climate of fear and mistrust of immigrants this is a story that needs to be shared.